The ancient parish comprised the townships of Street, Bodangharad Ucha, Bodangharad Isa, Cilygroeslwyd, and Penycoed. 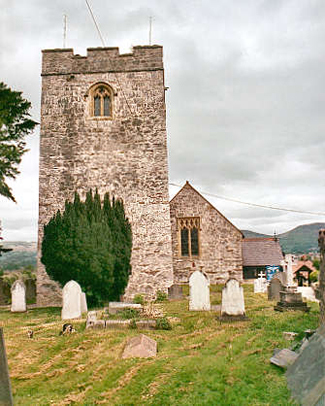 The church was founded in the seventh century by St. Mwrog. It was rebuilt during the Norman period, and re-dedicated to St. Mary. Having fallen into decay, it was extensively restored in 1869/1870, being re-opened on 24 June 1870. The tower was restored in 1906. For family history information about the church and parish, visit the GENUKI Llanfwrog page.